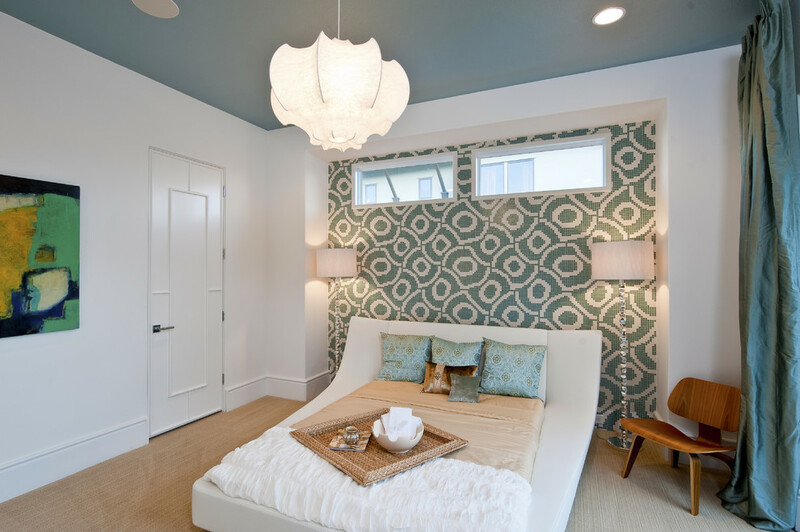 When I'm touring some of the nicest and most stylish homes throughout the Birmingham area, it's obvious accent walls and accent ceilings are trendy right now. And I'm all about it! They're the perfect addition to a room when you want to add a little character or a little splash of color without going overboard. Too much color or texture can just look ugly and gaudy. 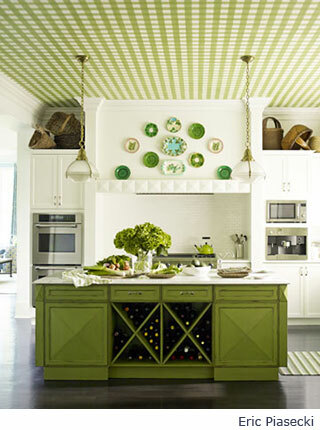 You can create your own accent ceiling with textures like wood panels and beadboard. Or a beautiful coffered ceiling which I'm seeing a ton of as well. But here are a few examples I found of the accent ceiling done in a super easy way. Just paint or wallpaper and you're done!